I don’t have long to write this, but I want to get the conversation started today. I want to talk about purpose. I want to talk about motivation and I want to talk about why you are here on Earth. We start here because the answer to this question is imperative. Without it, we don’t know how to spend our time. We don’t know which direction we’re going. A person who cannot answer this question will have a difficult time living a life that is healthy and fulfilling. Instead, people who cannot answer this question find other things to fill their life and time. These things may be fun, but they can never provide the true happiness and fulfillment that come with doing the things that you are meant to do. Is it a difficult question to answer? Of course it is. If you don’t already know the answer then I would not expect you to be able to answer it while sitting in your chair reading this. My hope is that you will take this question and begin to mediate on it. Take time away from your day to day life, think about it, and pray about it. Dig into yourself and find the answer. It will be worth it. Finding your personal answer to this question is important for many reasons. Almost all of us have to work for a living. But if you know you have to work for a living don’t you want to spend that time working on something that will move you closer to your goal in life and position you to accomplish it. I’m convinced that this is how God wants us to work. Our jobs thrust us into situations and positions that we would have never experienced otherwise. These situations are all growth opportunities. Sometimes they stretch us to grow and sometimes they push us to eliminate a bad trait. But the key is to see that they have a purpose. When we know our own purpose then it is much easier to see how these lessons can be applied to bring us closer to our overarching goal. Finally, when we know what we want to do with our lives we can see in advance which experiences and lessons we need to learn to accomplish our goal. This allows us to take control of our career path and make purposeful decisions with a vision of the future. I’ve already mentioned this once, but I think it’s a critical point. All humans share the same set of core needs. One of these core needs is to live a meaningful life. Maslow’s Hierarchy of Needs calls it self-actualization. In Maslow’s Hierarchy self-actualization is at the top of the pyramid, meaning that it is the most advanced need and the most difficult to fulfill. By meeting this need a person puts themselves into a position to fully enjoy who they are and what they are doing with their life. The most interesting thing about the need to live a meaningful life is that many people don’t become aware of it until it is too late. This need asserts itself more strongly in the middle and later years of a person’s life. When a person is nearing the inevitable end of their life they look back and take inventory. This is when the pain can strike most acutely. I can only imagine looking back on a life and feeling remorse because I did not spend my time accomplishing things that are truly worthwhile to me. I can imagine you would be devastated if you looked back on your life and opportunities and instead of seeing a purpose you realize that you had frittered your time away of frivolous pursuits. Paradoxically, while you see this need most clearly at the end of your life, it is too late to make the changes and accomplish the things you want. You must take action during the prime of your life if you want to build up a portfolio of actions that you will be proud of when you are reflecting on them in the future. 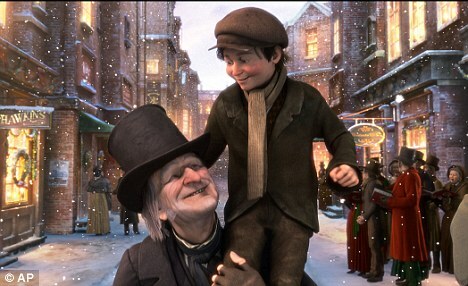 A Christmas Carol by Charles Dickens does a wonderful job exploring this situation. Scrooge believes that he is at the end of his life. The pain that he experiences at that low point is tremendous. Then the joy in his heart when he realizes that it isn’t too late to make a change and live a life worth living is magnificent. It brings tears to my eyes every time that I see it. As we move into the Christmas season I urge you to meditate on this question. What do I want to do with my life? In the coming days and weeks I’ll be fleshing this topic out from many different directions. I’m very excited to dig into this. I believe that I can answer this question for myself now and I’ll walk you through the process that led me to my answer. I’ll also talk about the distractions and easy answers that people cling to in order to avoid committing to something challenging. I look forward to exploring this path together and hope that you’ll take the time to share these articles with people you care about if you find them valuable. Until next time, be blessed. P.S. if this topic interests you, you may also like the attachment. What Makes Remarkable People… Remarkable? Posted on November 27, 2010, in Personal Development and tagged Maslow's hierarchy of needs, Motivation, Personal Development, Psychology, Self-actualization, Why Am I Here. Bookmark the permalink. 7 Comments. And this is the beginning of the self-checking that I talked about in my comment for the last installment. If you job is, in part, an avenue to self-actualization, so can (are) your relationships with the people in your life (including your boss). I like the tie in to A Christmas Carol and I am looking forward to where you take this. This article presents clear idea for the new users of blogging, that actually how to do running a blog. the end it was really surprising. It wass CUTE!!! !